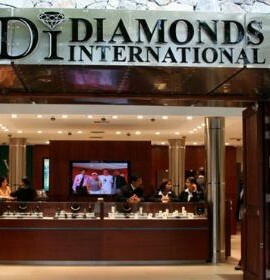 (CNS): A man accused of being the getaway driver in the now infamous New Year’s Days jewel heist at Diamonds International in George Town will not face firearms charges, despite being part of a joint enterprise in which the store was held up at gunpoint and the robbers made off with around three quarters of a million dollars worth of jewels. Christopher Myles has pleaded guilty to being part of the robbery as the driver but denies any knowledge of a gun being involved in the hold-up and pleaded not guilty to the charge. As a result the crown has accepted his limited plea and will no longer pursue the weapons allegation. Myles, from George Town, will be now sentenced for his part in the robbery next month alongside his accomplices Jonathan Ramoon and James McLean, who both pleaded guilty to robbery and possession of an unlicensed firearm earlier this year. Police recovered the weapon after the police commissioner foiled the robbers escape in an incredible coincidence. David Baines was in the area of the daylight jewel robbery at exactly the right time, off-duty, and reportedly waiting to meet a friend from a cruise ship. Spotting the armed masked men as they made their escape from the jewellery store in down town, the top cop chased after the getaway car and rammed into the vehicle. When the three men fled on foot from the car, the commissioner continued his pursuit in his vehicle. During that chase Baines struck one of the robbers and ran over him, causing extensive injuries to Jonathan Ramoon, who was in a wheel chair for more than six months. Since then the commissioner was exonerated of using excessive force following an internal investigation conducted by a so far unidentified officer from the RCIPS. we as individuals are not perfect and at time make bad decisions in our life that can negatively affect us. To me everyone in prison made a bad life altering mistake, but it is not the mistake that will ultimately define them, but what they do with their life after revaluating and stepping back into society. As a country bases on Christian vales the continues cycle we Caymanian have of casting people aside after they have done a wrong instead of trying to Do like “Jesus” and help guild them and show forgiveness and help them transform their life into something positive isn’t happening. Maybe we should stop pointing fingers and find the root of the problems with these prisons and help address it, then we can Boldly say we are that Country that is founded and continue to address issues with our Christian Beliefs. Commissioner Baines is a hero. Wish there were more policemen like him the world over. how about the members of the public that helped? News never talks about them, some were workers from the store and other passing by people including a tour operator that seems to have broken his arm while fighting with one of the robbers, another one with a piece of metal trying to hit the robber. But is better only talk about the commissioner, maybe they don't want their names out there. Oh Land of unsolved mysteries!